Those adventurers who like going on long hikes up tall mountains in full sun understand one key thing—Hydration = Survival. Ensuring that our body and our system has enough water is critical to life for every person in the world. Chugging a water bottle is precisely what our body needs on a macroscopic scale, but as we love to do at ScienceABC, when we consider the microcosm, we find brilliant parallels. 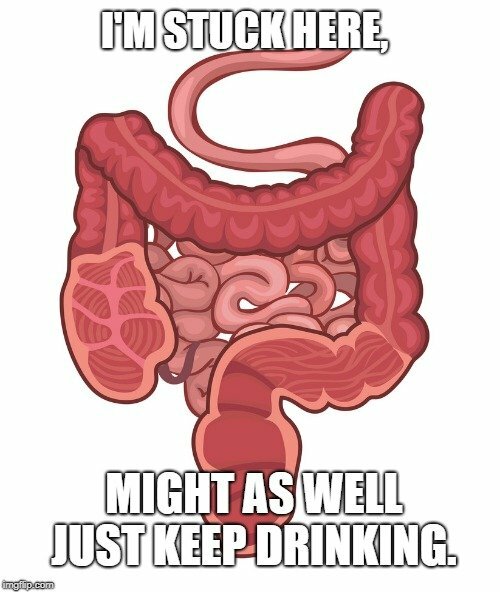 Yes, at the cellular level, “cell drinking” is a real thing, and it is formally called pinocytosis. This process is a form of endocytosis, the general term for the action of cells engulfing and ingesting molecules or substances from outside the cell, through the plasma membrane. Pinocytosis is closely related to phagocytosis, which is commonly referred to as “cell eating”. 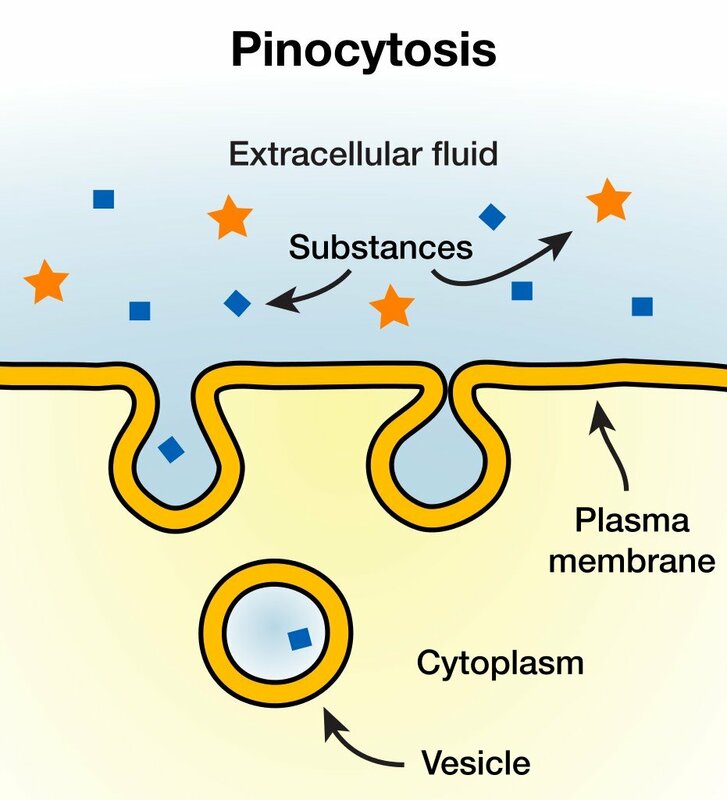 Simply put, pinocytosis is the general ingestion of extracellular fluid by a cell in order to maintain its internal pressure and absorb the dissolved nutrients in the engulfed portion of fluid. Some molecules are able to cross the plasma membrane passively, but pinocytosis achieves this type of ingestion on a broader scale. Through the process of invagination, a small depression in the plasma membrane forms, which will be filled in with extracellular fluid. To visualize this, imagine a pie that has had one slice removed. Once the fluid has filled in that “gap”, the cellular membrane can pinch off this newly formed vesicle, engulfing the vesicle and its contents within the cytosol. Unlike phagocytosis, pinocytosis is a far less specific process, and is thus referred to as bulk transport. The process of pinocytosis may be stimulated by the particular presence of substances in the extracellular fluid, e.g., sugars or proteins, but when the cell moves to engulf that droplet of liquid, it will also consume all of the dissolved salts and other molecules present in the water. Almost all cells perform some type of bulk transport, and pinocytosis is extremely common in eukaryotic cells. Once pinocytosis has occurred, there is now a vesicle floating in the cytoplasm like a bubble, with the vesicle wall made from the cell’s plasma membrane. Two things may now occur: 1) the vesicle may pass undisturbed to the other side of the cell and be added back into the membrane through exocytosis—expelling the contents of a vesicle, rather than forming one by engulfing outside substances; 2) the vesicle will be broken down, thus releasing the contents and dissolved particles, which can then be used by the cell in various ways, or partially discarded as waste. For the latter process to occur, lysosomes present in the cell will release specialized enzymes that bind to the vesicles and break them open. Is All Pinocytosis the Same? Although cell drinking is something most cells engage in, there are two main types of pinocytosis: macropinocytosis and micropinocytosis. As their prefixes suggest, this division is based on the size of the vesicles and the volume of extracellular fluid that is taken into the cell. Not all cells have the same demands for constant rehydration, but there are some cells that are almost constantly pinching off small vesicles from their outside environment. To serve this purpose, smaller vesicles are formed nearly all the time, often in cells that don’t move, meaning that they need to be more efficient in using their outside environment. You can find these types of micropinocytotic activities in cells like microvilli in the digestive tract, which are constantly taking in small amounts of fluid from outside, due to the constant passage of potential nutrients. Macropinocytosis, on the other hand, involves vesicles that are anywhere from 5-50 times bigger than those formed during micropinocytosis. Rather than invaginations forming into these vesicles, macropinocytosis utilizes ruffles, which all for greater deformation of the cell membrane. The membrane will extend into an arm-like claw to grab a larger portion of the extracellular fluid. When those extended arms reconnect, they pinch off the fluid into a structure called a macropinosome. This macropinosome will maneuver into the cytoplasm and either be dissolved through binding with a lysosome, or will be passed to the other side of the membrane and be released through exocytosis, as touched on earlier in this article. In some specialized cells, such as those in the immune system, engulfing such large volumes of extracellular fluid may be done to test the area for unwanted pathogens or antigens, prior to signaling other immune system defensive cells. Pinocytosis is just one of the many ways that our cells passively run the show on a metabolic level, with each operating and responding to delicate chemical signals and receptors to function as a part of the whole. 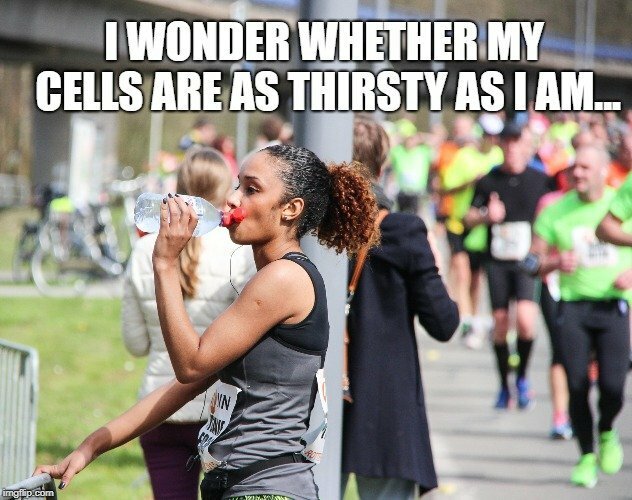 Just as we might feel the need to pound a pint of water on a hot day, every one of our cells also know what thirst feels like. Understanding the fundamental ways that a cell is able to feed itself and stay hydrated provides a more complete perspective of our internal metabolic processes.